Reversible market bag. if a tote bag is your preference, then this is the one for you. 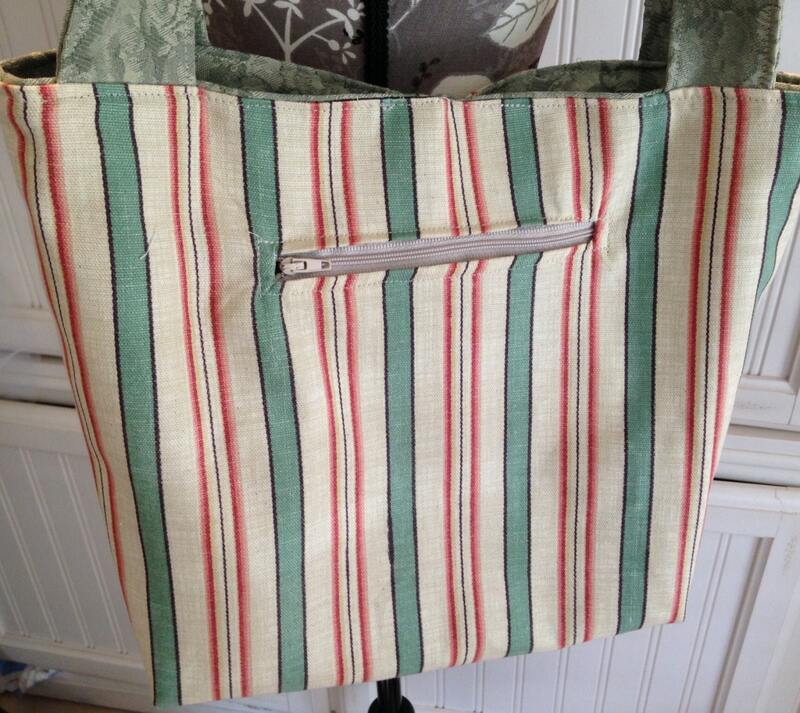 Fully lined this cream and green striped tote is just the right size. It's not too big and not too small but at 13" by 15" it's just the right size for everyday use. 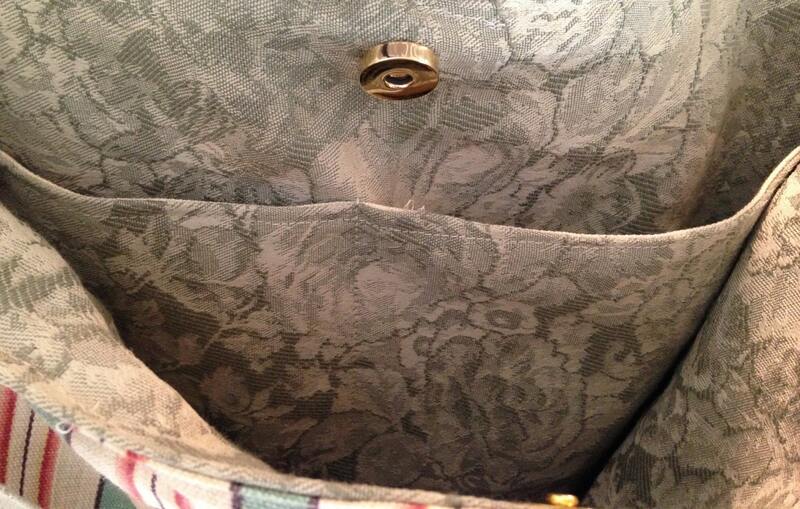 In addition to the zipper pocket on the outside there is a large two compartment pocket inside. 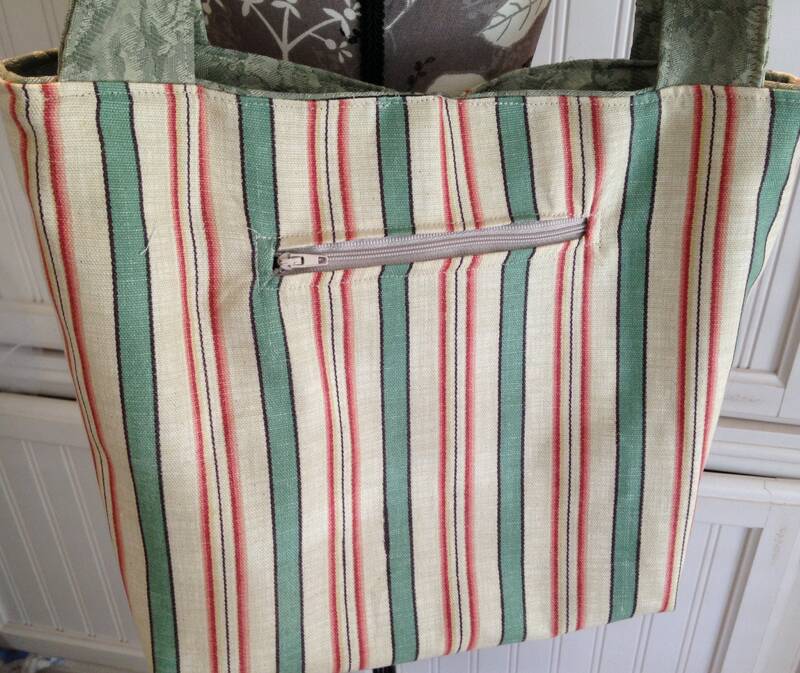 The lining is a beautiful shade of moss green roses that perfectly compliments the stripes. 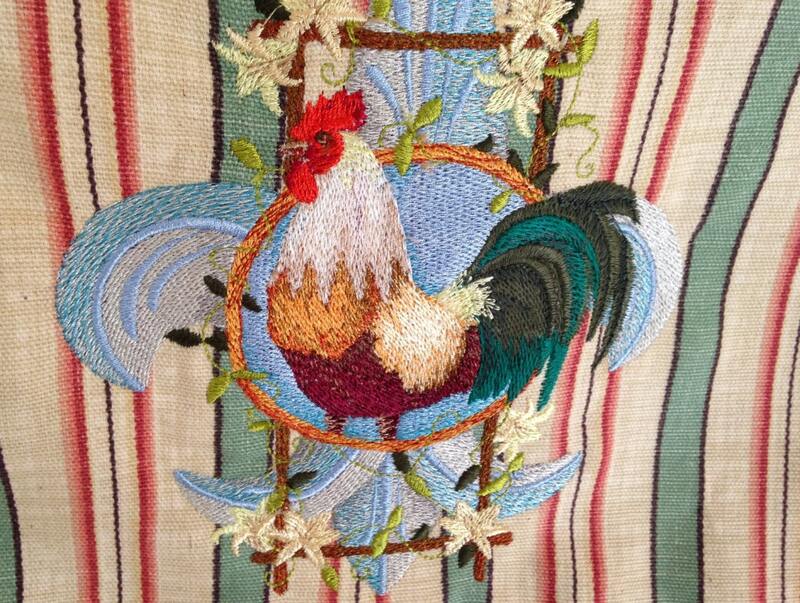 It is handmade using designer decor weight fabric. All seams are serged for durability. The Bag has matching fabric straps that have a handy 16" drop. 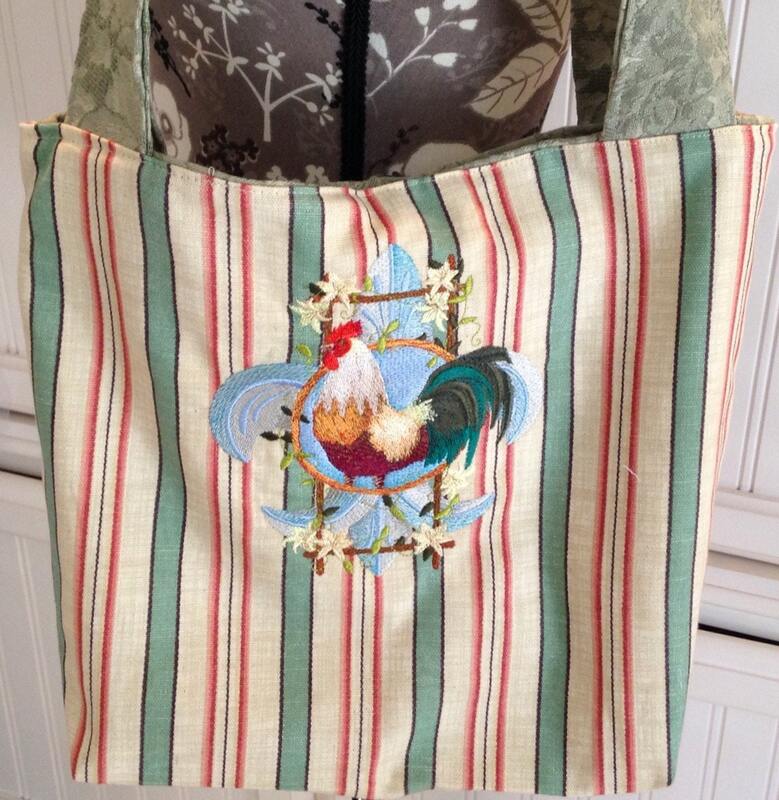 The front of the bag is machine embroidered with a colorful rooster on a fluer de lis background. This tote is as beautiful as it is functional. It can be cleaned with a little soap and water or upholstery cleaner. The soft structure of the bag makes it easy to pack and carry. There is even a magnetic snap to close the bag so your things don't slip out when you put it down. 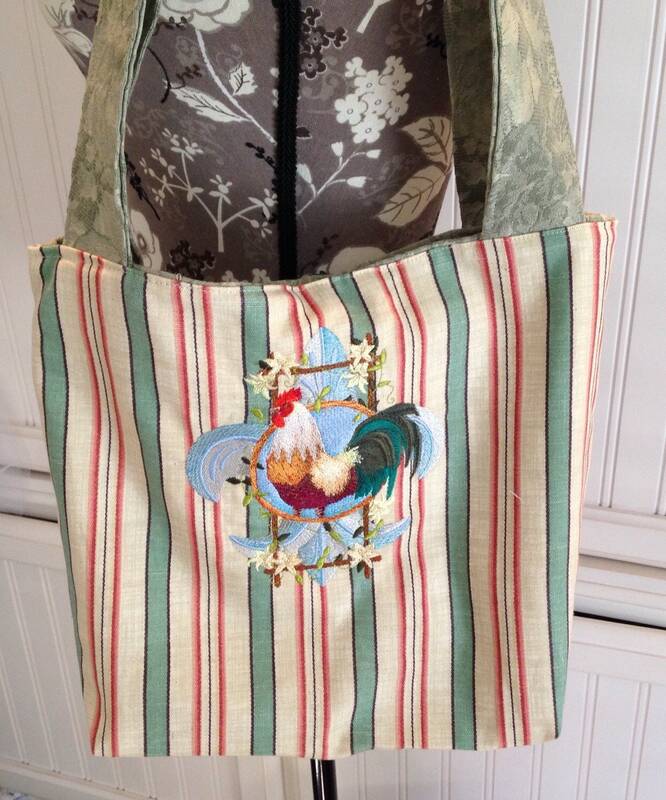 Enjoy this one of a kind bag it is sure to be as hard working as you are!